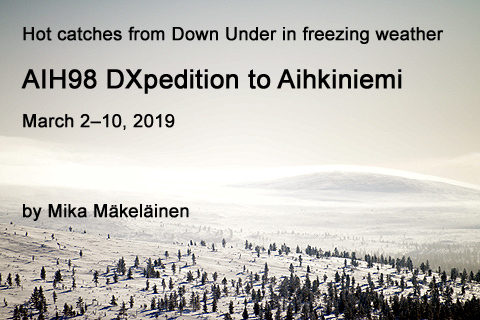 My third Lapland DXpedition of the season was saved by a couple of nice openings to Australia. Neat catches were made also from Southeast Asian countries, especially Thailand. However, the Western Hemisphere was a major disappointment, as hardly anything of interest was heard from the Americas. 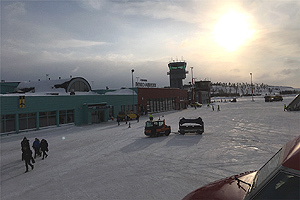 The ongoing DX season became quite exceptional personally, because this was already the third time that I visited Lapland since last winter. On this occasion I didn't burn any vacation time, but I was actually on an unpaid book leave. When Donald Trump and Kim Jong Un ended their failed summit in Vietnam, I made the last adjustments to the manuscript of my book Kimlandia. My six-month book project was finally over, and I needed a relaxing break. 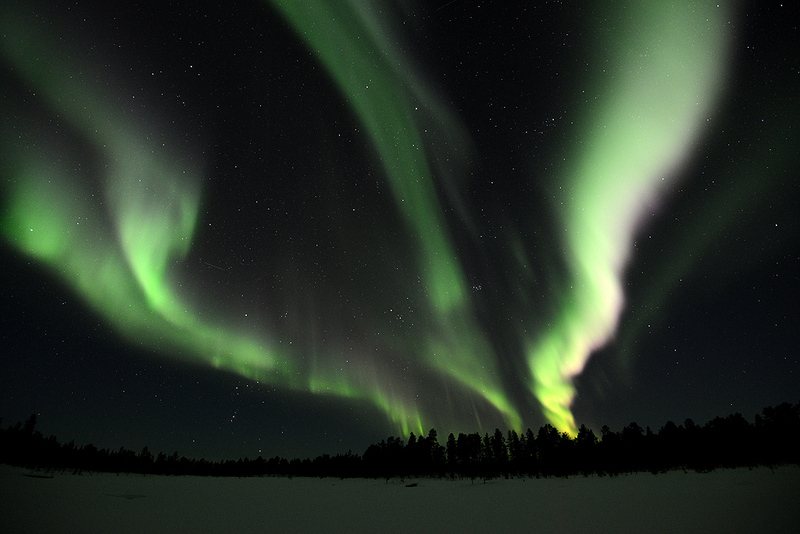 What could be a better way to unwind than going on a DXpedition to Lapland? 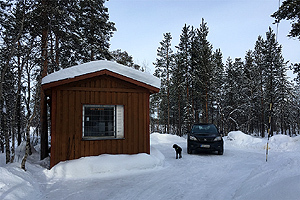 As soon as I had emailed the finishing touches to my publisher, I traveled with Jim Solatie up to Aihkiniemi, where we were together just three months earlier on DXpedition AIH88. 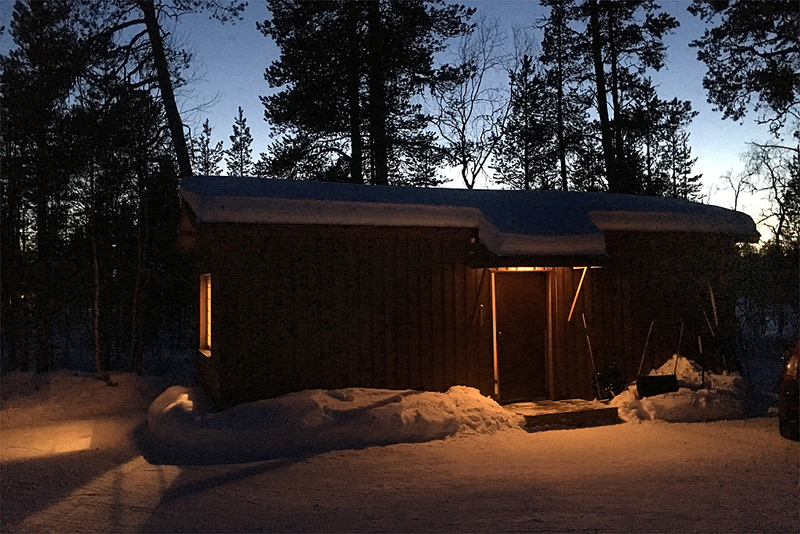 This solar minimum is precious time for AM DXers, and in the meantime in December and January Jim had spent three more weeks DXing in Lapland! 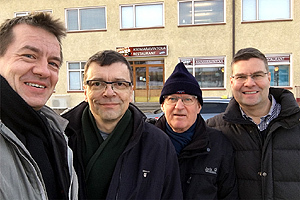 Mika, Hannu, Håkan and Jim at the Rovaniemi railway station. As has become customary, we took the overnight train from Helsinki to Rovaniemi, leaving on Friday, March 1. 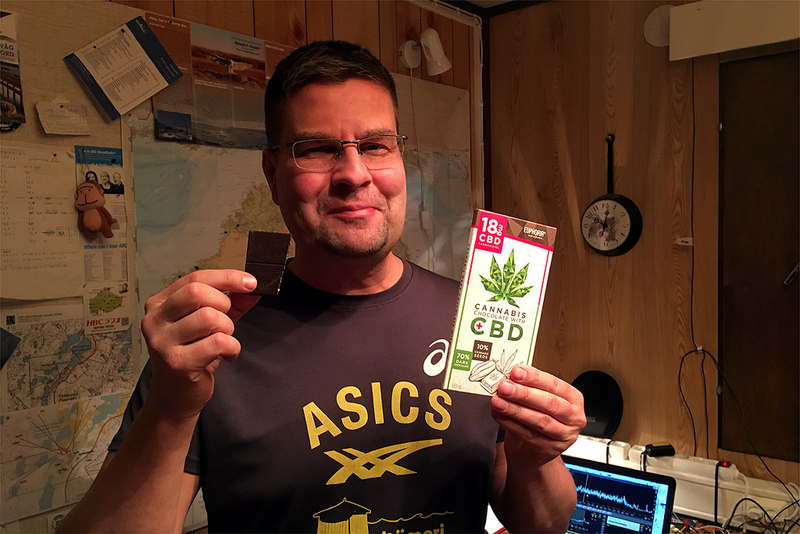 Two even more experienced DXers, Hannu Tikkanen and Håkan Sundman happened to be on the same train, on their way to the Lemmenjoki DX cabin. Altogether the four of us have spent about 180 years in this hobby, collecting about 20 000 verifications from AM and shortwave stations  so plenty of DX talk in the restaurant on board! 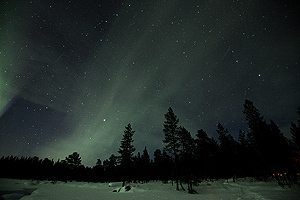 We arrived in Rovaniemi on the Arctic Circle on Saturday morning half an hour behind schedule, but knowing that a solar storm had taken place a couple of days earlier, we were in no hurry to drive north in Jim's Honda CR-V. We knew that there wouldn't be anything interesting to listen to in the afternoon. Sometimes the sky seems to be on fire. We stopped along the way to absorb fabulous winter sceneries on top of Kaunispää fell (see the banner at the top of this article) in the Saariselkä ski resort, and a bit later we met Martti Karimies and Jorma Mäntylä, the outgoing DXers who just completed their mediocre DX week in Aihkiniemi. We shopped for groceries in Ivalo, and finally arrived in Aihkiniemi around 4 p.m. local time. I drove the last stretch from Ivalo to Aihkiniemi in clear and crisp weather. The roads were only partially icy. Along the way the temperature was around -20 degrees C, but in the evening it dropped down to -30. This would be typical of the week. We never measured temperatures higher than -5 C, but had a couple of -30 degree nights. Checking the antennas proved to be overly difficult and very sweaty as there was about 70 cm of snow. Walking using snow shoes was difficult, but walking without them was even more difficult, and so was skiing. Whatever method we tried, our feet sank all the way to the ground. Solar weather was somewhat unstable, which resulted in poor propagation over higher latitudes. 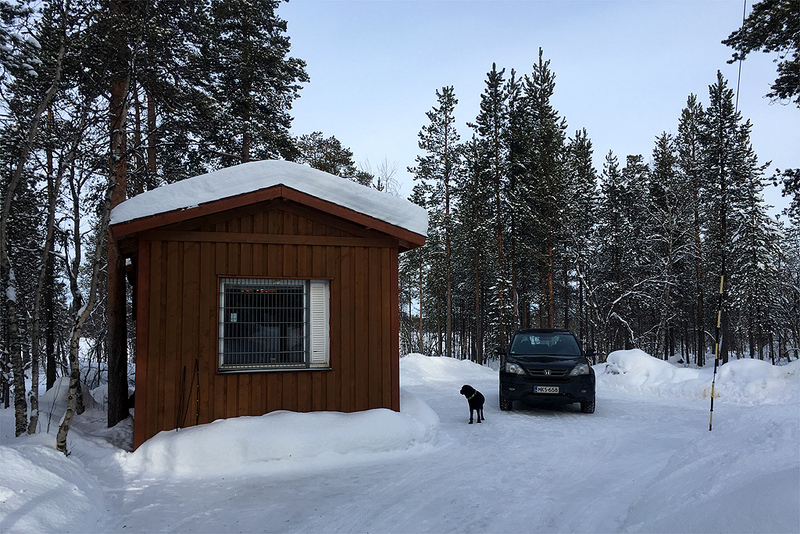 This was my first DXpedition ever in Lapland when I didn't immediately find a single new station from the Western Hemisphere. I expect this to change eventually, however, when I get to review my recordings better. In any case, poor propagation to the west was compensated by quite a catch of Australian AM stations. Also Thailand and the rest of Southeast Asia offered a few neat surprises. Here's a daily summary of our observations on the AM dial. Propagation conditions were quite poor. A handful of common East Asian stations were noted during late afternoon and in the evening hours, but mostly the AM band was dominated by stations from the Middle East. 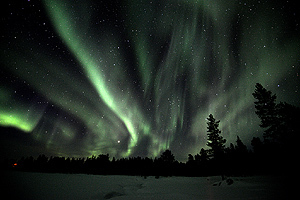 In the evening northern lights streched across the northern sky in multiple layers. Stations from the southern half of South America were heard intermittently overnight, though mostly just for short bursts, which occurred before 2200 UTC, as well as after 0200 and 0300 UTC. 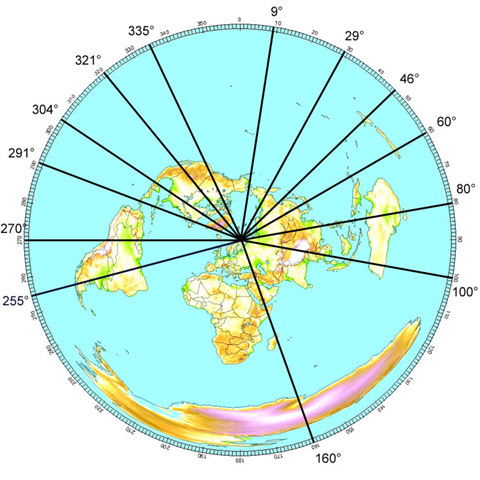 North American stations began showing up at around 0300 UTC. Reception was best around 0500 UTC, and propagation favored the Midwest and the Rocky Mountains. Identified stations included KLMR Lamar CO (920 AM), KRDO Colorado Springs CO (1240 AM), KIUL Garden City KS (1240 AM), KWBE Beatrice NE (1450 AM) and KLNG Council Bluffs IA (1560 AM), but nothing new for me. Overall, propagation was quite crappy, and even the above stations were merely lucky catches. During the daytime only a few weak North American stations were heard with faint signals, apart from a bunch of Alaskan stations, which had decent signals in the afternoon. 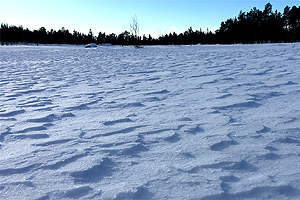 A video (clicking the photo opens a Youtube page) to show how slow it is to try to walk with snowshoes in deep snow. In the afternoon Asian stations became audible at around 1315 UTC, and top-of-the-hour 1400 UTC brought loads of signals from China, for instance Nanjing was logged on 900 and 1008 AM. When NHK2 stations signed off at 1530 UTC, stations in Aomori (1467 and 1521 AM) were dominating their frequencies. There was nothing new on the AM dial for me, however, and my first reported station was a shortwave station, Radio OZ-Viola from Denmark on 5825 kHz. Pretty soon stations from the Indian subcontinent were heard quite well, and as stations are audible from Japan to Iran, finding new ones on the AM dial is a futile attempt. 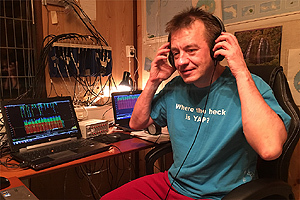 In the evening we heard our first Aussie stations on this DXpedition. For instance the two main ABC stations in South Australia (729 and 891 AM) were quite strong at times. Other Australian stations were noted on 558, 1152, 1161 and 1323 AM, but nothing new for us. Later at around 2000-2100 UTC there was a decent opening towards the Philippines, with over 20 stations noted. I was left empty-handed, but Jim caught a couple of personal new ones (DZVR 711 and DYHB 747 AM). Capturing the northern lights on camera is a freezing job in -30 degrees. Overnight was a disappointment. I deleted all recordings of North American stations - because hardly any were audible  but there might be something worth listening to from Argentina and Brazil once we get to comb them all in detail. Stations like Rádio Sertão Central (1570 AM) were heard at 2300 UTC, when the national program A Voz do Brasil ended. Most South American signals vanished around 0400 UTC, but Rádio Tupi (1280 AM) was heard even around 0530 UTC. North American stations were heard fleetingly at around 0400-0500 UTC and again at 0700-0800 UTC. Nothing of interest logged. KORT (1230 AM) was my only graveyard ID. KDYL from Utah was heard on 1059.9015 kHz, quite far from its nominal frequency. Daytime was quiet on the AM band, until Asian stations rose from the static a bit later than yesterday. By 1500 UTC the band was full of strong signals. Initially stations from Taiwan and the southern half of Mainland China were very strong, and I got even one new catch, Fujian PBS (Xinwen Zonghe Guangbo) on 1395 AM. Later in the evening we enjoyed a nice opening to Western Australia, netting a few private stations that were new ones for us. A couple of dozen Philippine stations were again heard around 2100 UTC, but nothing new, and a poorer selection than the day before. 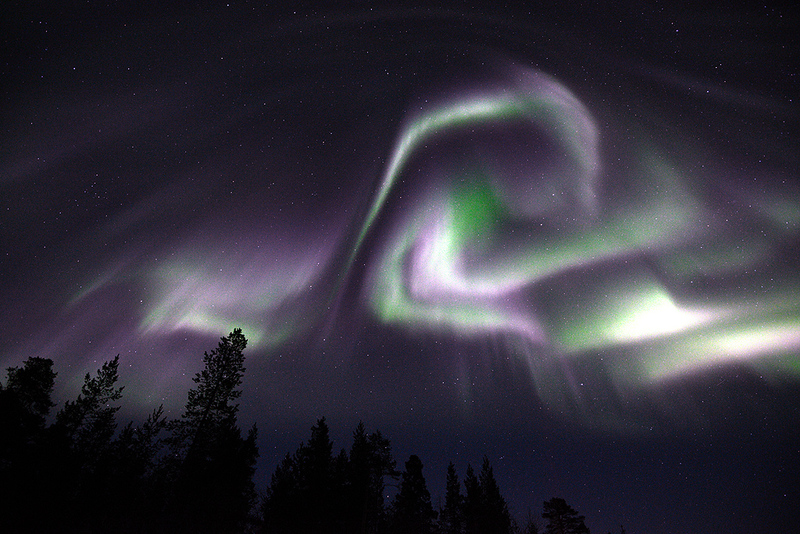 I've seen a lot of northern lights, but this shape was very unusual. The evening continued interesting, as for the first time on this DXpedition, East Coast stations began to be heard even before local sunset. Most of them were of course just common pests, but still it was a pleasure to hear stations from that direction before going to sleep. One of the few even moderately interesting catches was WSKW (1160 AM), but of course nothing new. The opening ended sharply just before 2300 UTC. Later during the night some North American activity was detected at around 0100-0200 UTC, and again at 0300-0500 UTC, but all were common stations. Propagation favored the Great Lakes and the Midwest. KFOR (1240 AM) and KLIN (1400 AM) were among the stations identified, but still nothing new from North America. At sunrise, a bit past 0500 UTC, some Peruvian stations were logged, and I switched our coax feed from 255 to 290 degrees, just to hear propagation slumping immediately after that. Could this station be from Yap? Mika with Jaguar software running on the laptops. During the day North American signals continued very weak. KYKN (1430 AM) from Oregon was perhaps the best station identified. 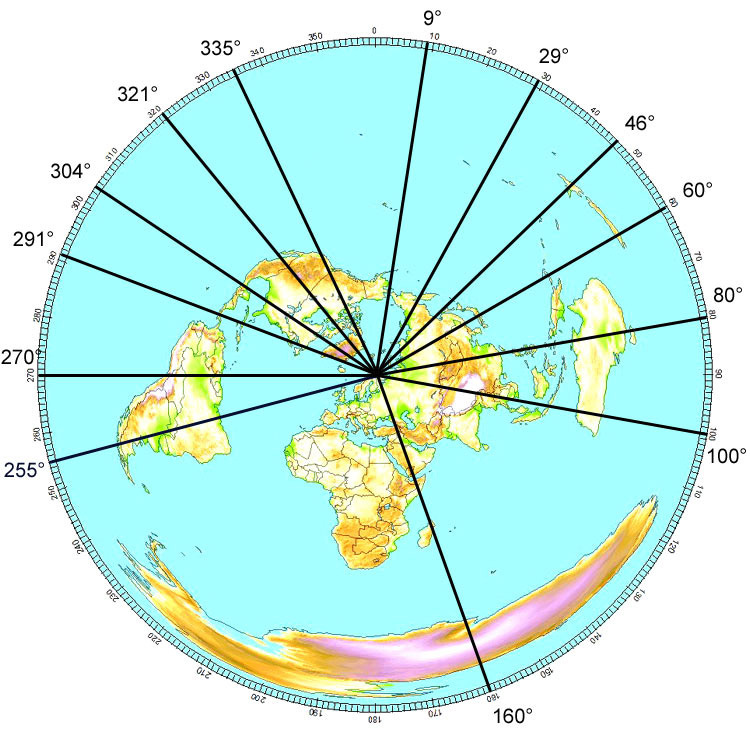 The first peak from the Eastern Hemisphere occurred at 1220 UTC, when Newstalk ZB was briefly heard on 1035 AM. After 1330 UTC Asian signals were booming, led by Chinese and Japanese stations, but at least initially nothing much of interest was heard. In the evening propagation seemed to favor higher latitudes than on the previous day, so there was a lot of northern China, for instance  and no South or Western Australia. And no new stations for us. North American stations were first heard at around 0200 UTC, and after taking a dip, the signals resurfaced around 0300 UTC. Fortunately stations remained audible at least a little bit past sunrise (0510 UTC), although at 0630 UTC the AM band virtually shut down. Identified stations included KYYW 1470 AM and WOSH 1490 AM, but again nothing new for us. At daybreak there were a few stations from Colombia. Jim needed energy to compensate for the long skiing trips, but would this be considered doping? Daytime was empty on the dial, so Jim went skiing with Mocca and I went snowshoeing. It was a nice sunny day, and the temperature rose above -10 degrees. In the afternoon a handful of the strongest North American stations were barely audible, mostly around 1200 UTC. I screwed up the Asia opening by monitoring a wrong antenna when Southeast Asian stations emerged around 1300 UTC. Especially Chinese, Vietnamese and Thai stations were strong, but many of them retreated back to noise by 1400 UTC. Later in the afternoon we had a good opening to Australia, and especially the X-band stations were strong. This was followed by Chinese stations. Nanjing seemed to dominate every frequency where it operates, one of them (801 AM with Sports Service) being a personally new catch. The evening was unremarkable with hardly anything from Asia. During the night signal levels from North America improved gradually and continued strong past daybreak, when listening became more enjoyable as we got rid of European adjacent-channel interference. For the first time on this DXpedition the AM band sounded like it should sound during solar minimum: US stations at 10-kHz intervals from top to bottom of the AM band. Unfortunately propagation seemed to favor a very familiar region from Ontario to Wisconsin, so we didn't find any new ones. The focus shifted gradually westwards and signal levels began to drop from the 0630 UTC peak. 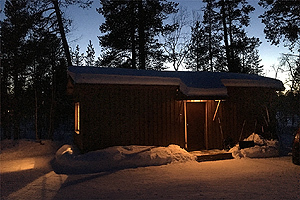 Our cabin is the light at right. Faint traces of aurora can be seen often, even if there are no full-blown northern lights. West Coast stations tapered off after 1200 UTC, when the Eastern Hemisphere was already in full swing, so no daytime lull today. Identified stations from the west included KVNU 610, CFCO 630, KSEI 930, WNWI 1080, KBAR 1230, KBIZ 1240, WGPL 1350, KATE 1450, WAUB 1590  all fairly common, so no new ones for us. V7AB (1098 AM) became audible at 1020 UTC, and continued until its 1130 UTC sign-off. Unfortunately that was the extent of the Pacific opening. A bunch of Alaskan and Hawaiian stations were heard, but not enough to hunt for new ones. The first Japanese stations emerged after 1100 UTC. From Australia, 2MM on 1656 AM, a rather frequent station, was unusually strong around 1330 UTC, prompting hopes for Indonesian stations along the same route  and eventually we netted a couple of stations, the strongest of which was RRI Semarang on 801 AM. Pretty soon conditions moved forward to the Indian subcontinent, and it became useless to try to find anything new anymore. Overnight North American signals improved steadily after 0300 UTC, and reception was quite nice after sunrise (at 0500 UTC). Fortunately, even East Coast stations were heard, and not just Midwest. Identified stations included WSBT 960, XEEP 1060, XEPRS 1090, KZZJ 1450 and KGBT 1530, which of course are not rarities, and we didn't log any personal new ones. Propagation collapsed at 0845 UTC, leaving just a bunch of common West Coast and Alaskan stations on the AM band. Daytime was pretty empty on the dial. Some of the most common stations from the Rockies were detected with weak signals. V7AB (1098 AM) was heard after 1100 UTC, at which time also the first few signals from the Far East were briefly heard. This first wave died quickly, and the second wave of Asian signals arrived around 1300 UTC, after which signals improved steadily. Some Philippine and South Chinese stations were in the mix, but Japanese stations were totally absent, so the path of reception was much more southerly than on the previous day. Alaskan stations and a couple of Hawaiians were relatively strong after 1300 UTC. Unfortunately the opening towards Asia turned out to be very general in nature, yielding signals from East Asia to Iran. Thai stations were exceptionally prominent, but no new catches were made at least immediately. The evening was unremarkable, without much trace of Australian stations. In the evening, the first Transatlantic stations appeared very early, with CBG (1400 AM) heard at 2115 UTC, and some other Atlantic Canadian stations a bit later. At 2220 UTC CBG was replaced by Harbour Light, so expectations were high for a better than before opening towards the East Coast of North America. North American stations had stable signals until four hours past our sunrise (0500 UTC). At sunrise time East Coast stations were prominent, with a few Colombian, Cuban and Puerto Rican stations in the mix, but later on the selection of stations was very familiar: Great Lakes and the Midwest, eventually shifting westwards to Idaho and Washington. Here are some examples of identified stations: KSEI 930, KBOB 1170, KCCR 1240, KBRF 1250, KVXR 1280, KPRK 1340, KWTL 1370, KXGF 1400 and KIVA 1600. Once again nothing new for us. The first Japanese stations emerged around 1300 UTC. The first hour was mildly interesting, with strong Chinese stations around 1400 UTC, but afterwards Indian and Iranian stations dominated the AM dial, and finding any new stations became next to impossible. In the evening, hardly anything was heard from Asia, as the AM band was dominated by European and Middle Eastern stations. Overnight was very poor. There were some Brazilian stations from 2200 to 2330 UTC on Saturday evening, and using the 270-degree wire (as we were without the 255-degree-antenna), a bunch of lower band Brazilians were briefly audible around 0400-0500 UTC, after which all stations were gone. All of these infamous Boeing 737 Max 8 planes were grounded because of safety concerns soon after my flight back south. North America was even more miserable. The first weak signals were detected around 0100 UTC, and later on, only at 0300-0500 UTC was anything audible. A few weak station identifications were caught from around Minnesota, but nothing worth mentioning. Then it was time for me to pack and head south. Jim took me to Ivalo airport to exchange me for prettier company  Jim's wife Pia was arriving on the same plane which I would take south. 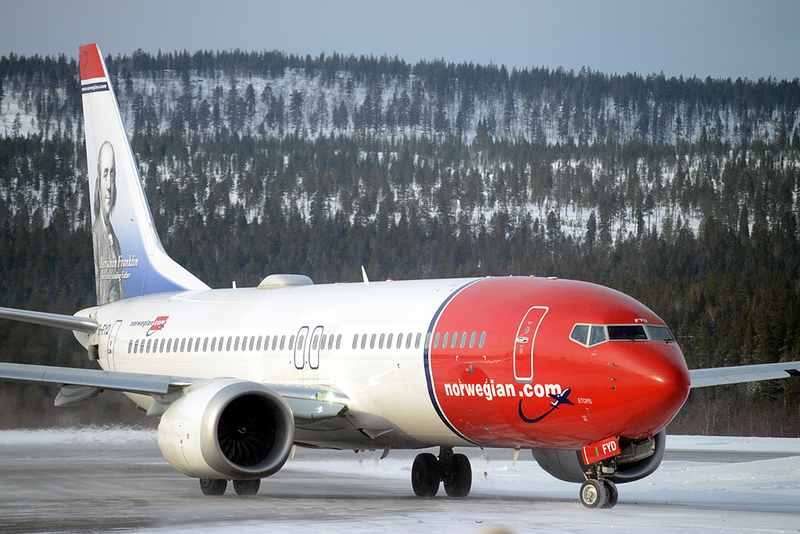 This happened to be Norwegian's Boeing 737 Max 8, the same type that had just crashed in Ethiopia. Fortunately the blanket grounding of this model was ordered two days later, otherwise I might have got stuck in Ivalo for a while. We left some automated recordings to run for three days while Jim and Pia were skiing in Saariselkä, and then Jim continued the DXpedition for a few more days.